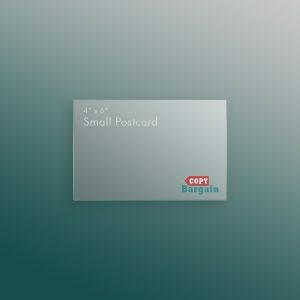 Make a statement and choose our standard sized postcard to get your job done. 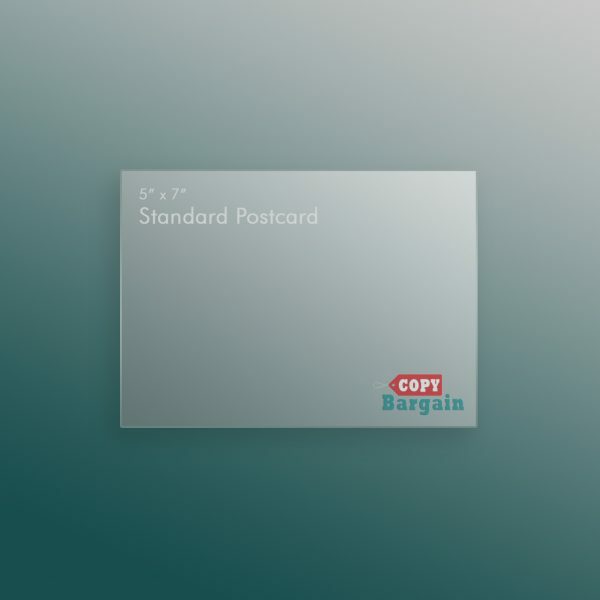 Our 5”x7” standard sized postcard is done on our high quality 16pt cardstock and offers gloss or matte finishes. When you need to share more information quickly with your clients then our standard postcard is the size for you. 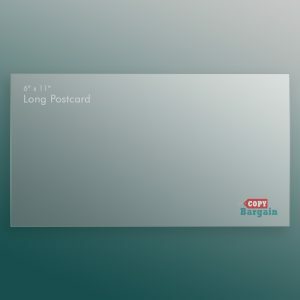 Our standard sized postcards are the perfect size for making a statement. 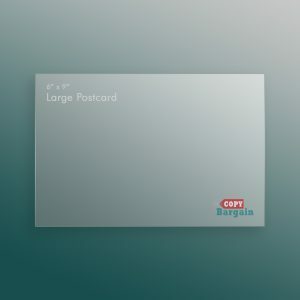 Ideal for promotions, sales, events, and more, our 5”x7” postcards allow you to provide more valuable information than on our smaller sized cards. Still looking for more space? Not a problem! Like all of our postcards, our standard size is available as double sided, allowing you to provide twice the amount of information about your business. Compact and versatile, postcard printing is one of the most effective means of marketing around. Instead of relying on word of mouth, put your faith in something that your potential clients can hang onto for weeks and months on end. Choose to highlight your company’s best aspects so that you can grow your business and make sales. Postcard printing is a sure fire way to save money, get your brand recognized, and provide lasting information. Whether you choose single sided cards, or opt to go big with double sided, you’ll find more space to make an impression than you’re able on the average business card. As always with Copy Bargain, we promise affordable prices, high quality customer assistance, and free-file checks on every order.